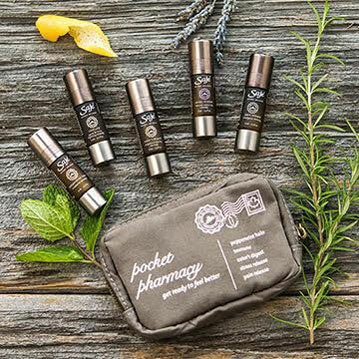 When Canadian aromatherapy and essential oil retail leader Saje Natural Wellness started planning for their coast-to-coast expansion, they turned to NKPR to help create buzz for the brand nationally while leveraging new store openings in emerging markets. To provide strategic communications for over 30 store openings in a 16-month period and to overall build awareness nationally for the brand. As Saje’s agency of record starting in 2014, NKPR managed all public relations surrounding the expansion through a multi-tiered strategy. Secured ongoing and prominent visibility in targeted beauty, health/wellness and lifestyle pages of leading publications. We built the profile of Saje’s founders, provided media training and developed feature stories with business media. Promoted new store openings through tailored strategies for emerging markets. As a result of the expansion strategy, NKPR secured over 126 million media impressions for Saje, which presented a 100x return on investment. Leveraging new store openings in over 20 locations, helping to build customer base and driving record-breaking sales at grand openings. Through feature pitching, NKPR achieve a major objective of building awareness for Saje’s founding family including profiles in National Post, Best Health, Nuvo Magazine, Vancouver Sun, Fashion Magazine and broadcast interviews with Saje founders with BNN, etalk, E! Canada, CTV and the Weather Network.